Math Olympics is designed to be a fun and challenging program that will enhance the development of your child's problem solving skills. This program rewards students based on commitment to completing the weekly worksheets, not worksheet scores. Encourage children to work independently if possible and let them know that it is normal to not solve every problem correctly. 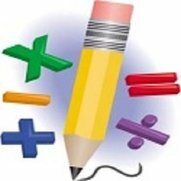 Please click here to register for Math Olympics 2018-2019! Online registration ​is open from September 23rd-October 5th. The program is 20 weeks long for students in 1st - 5th grade, running October through March. 10 weeks for Kindergarten, beginning in January. Please contact Heather Chisholm with any questions.